Thursday 7th February – indoor bowls afternoon – Hatherley Bowing Club, Hill Lane, Southampton. On bus route and has car parking. 1400 hours (2 pm) to start bowling – please wear flat soled shoes to protect surface. Coaching will be provided, cost £3. Complete beginners very welcome. Wednesday 15th May King John’s House, Romsey. 12:30 hours, for lunch – later walking in the town and then moving on to the park for tea. 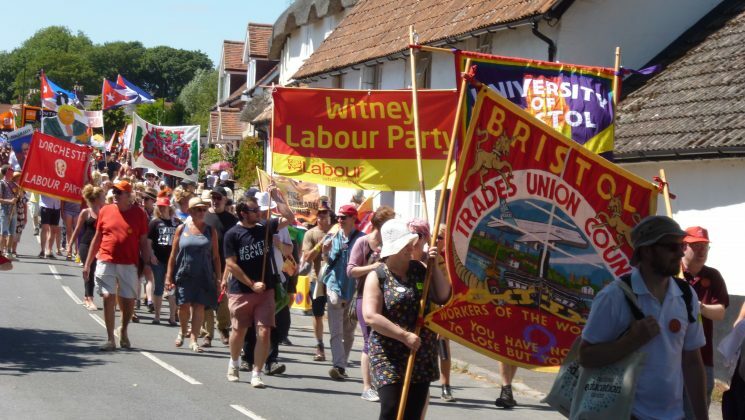 Sunday 21st July Tolpuddle Festival – Branch may organise a coach (details to follow). This is a three day festival commemorating The Martyrs. Sunday is the Parade Day, and members attending in the past have really enjoyed the event. We may march with our new banner. Please inform me if you intend to attend events 1 or 2 so that the necessary bookings can be made, using either my email address below or by post c/o The Unison Office, Clarendon House, Monarch Way, Winchester SO22 9PW.